Water is the common denominator of life. All around the world, water is a precious resource, the common denominator of life. When it’s reliable and clean, people tend to take it for granted. When it’s the opposite, it can become the crucial fact of a person’s existence, something that, if left unaddressed, prevents anything else from happening. 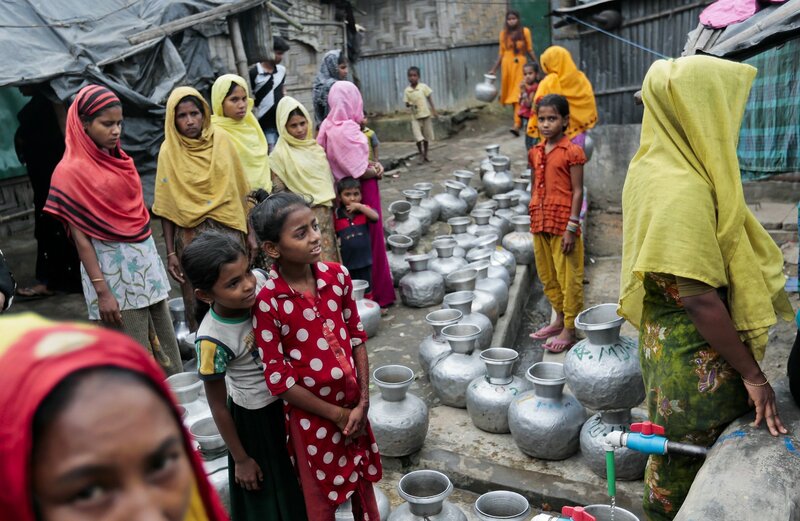 Roughly 2 billion people don't have reliable sources of clean drinking water and one child every minute dies from preventable waterborne diarrheal disease. But the management of water isn’t always so vexed and, in many places, its delivery is a miracle of modern engineering. 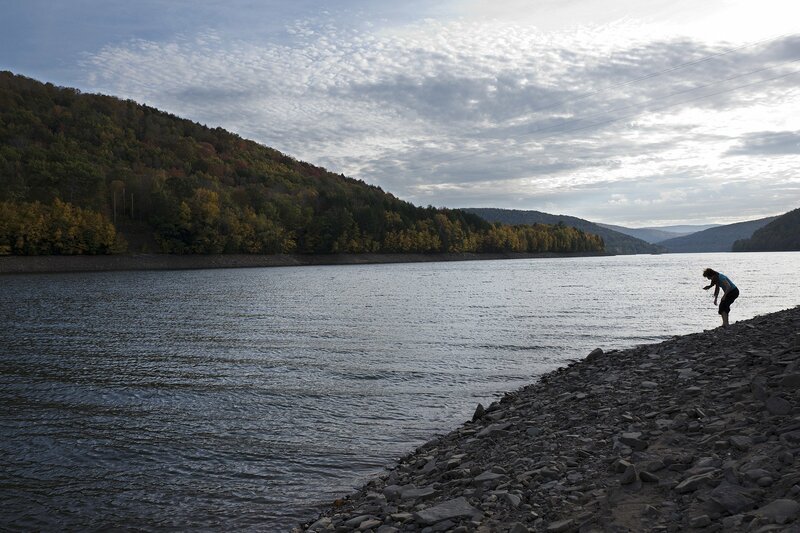 More than 90% of New York’s tap water reaches the city through the sheer force of gravity as it courses downhill from upstate aquifers. Throughout the sprawling streets of Mexico City, buildings sit atop aquifers so depleted they’re sinking into the Earth. That means that water sometimes fails to flow reliably to houses and trucks have to bring water to people out of reach of the municipal pipe system. In 2014, China completed one of the biggest engineering projects of all time to ship water nearly 1,500 miles to Beijing, averting a water crisis that had loomed over the country for years. South Africa’s capital Cape Town, meanwhile, could become the world’s first city to run out of water. For the city’s poorer residents, the water crisis is nothing new. Same goes for many people scattered throughout Nigeria, where more than 57 million people do not have access to safe water. 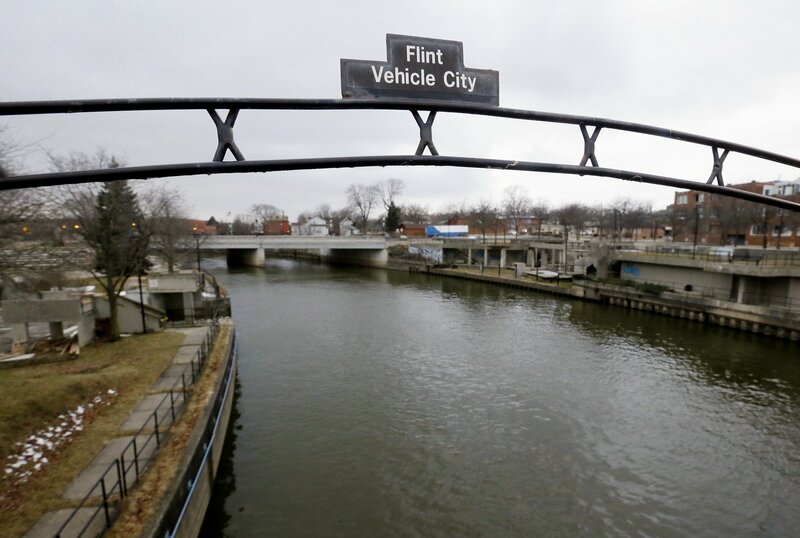 Residents of Flint, Michigan, know all too well how devastating a polluted water system can be after extreme iron levels were first reported in tap water in 2014. Here’s a look at how people in various parts of the world get their water. 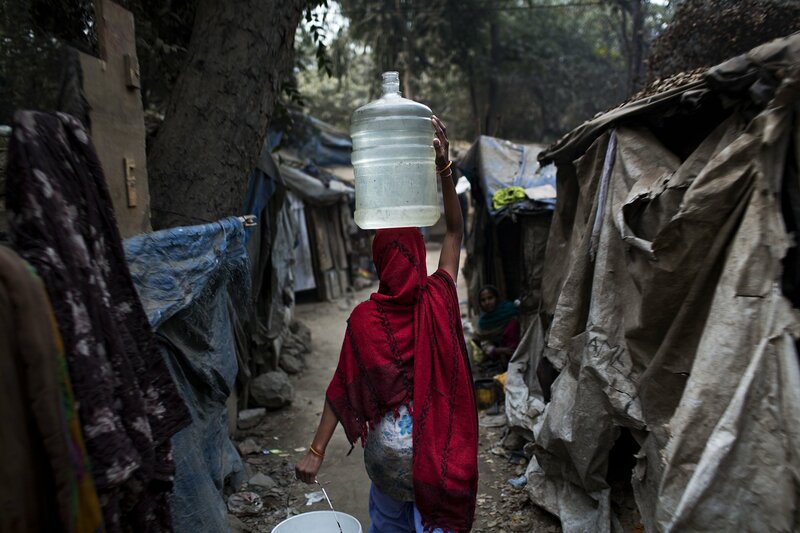 An Indian woman carries a plastic container filled with water in New Delhi in a slum area in New Delhi, India, Monday. 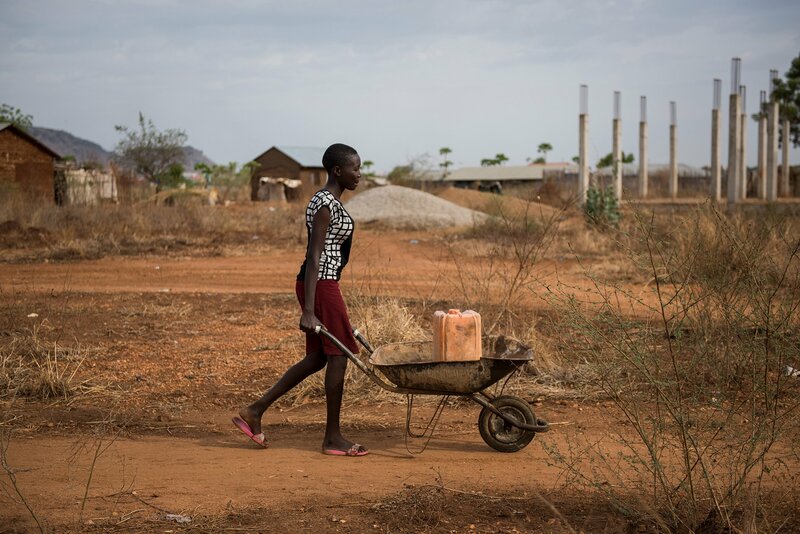 Amal, 17, pushes a wheelbarrow with a jerry can of untreated water from a tap on the outskirts of Juba, South Sudan. 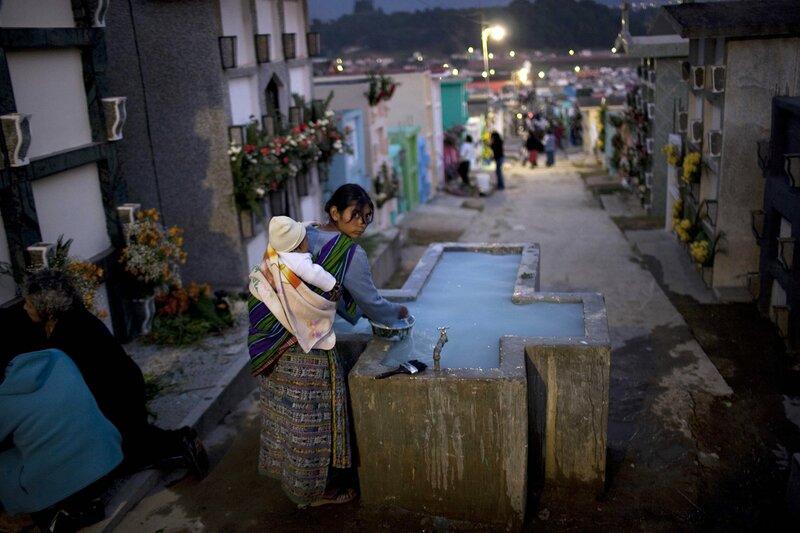 A woman fills a jug with water for the flowers she is using to decorate the graves of relatives on the eve of Day of the Dead celebrations in Salcaja, Guatemala. The Tuanchenghu Regulating Reservoir, a storage reservoir for the South-North Water Diversion project, transfers drinking water from central regions of China to the north, in Beijing. 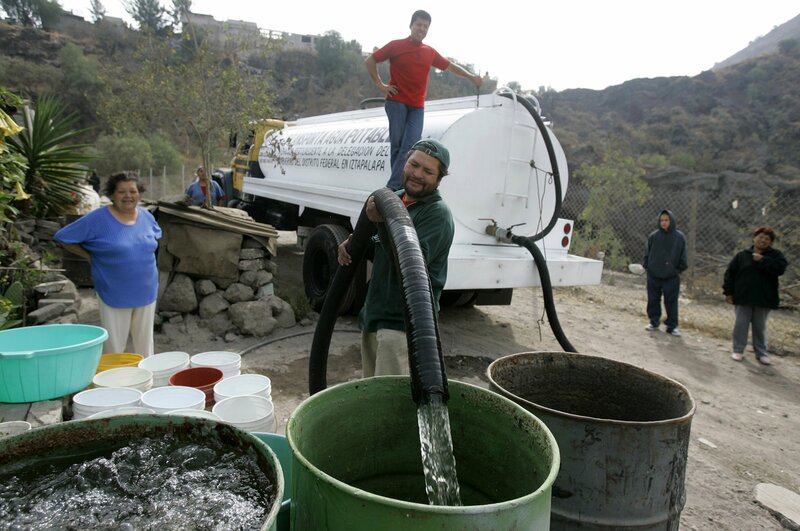 People watch as city workers deliver the weekly water ration in drums and buckets at a low-income neighborhood in Mexico City, Mexico. 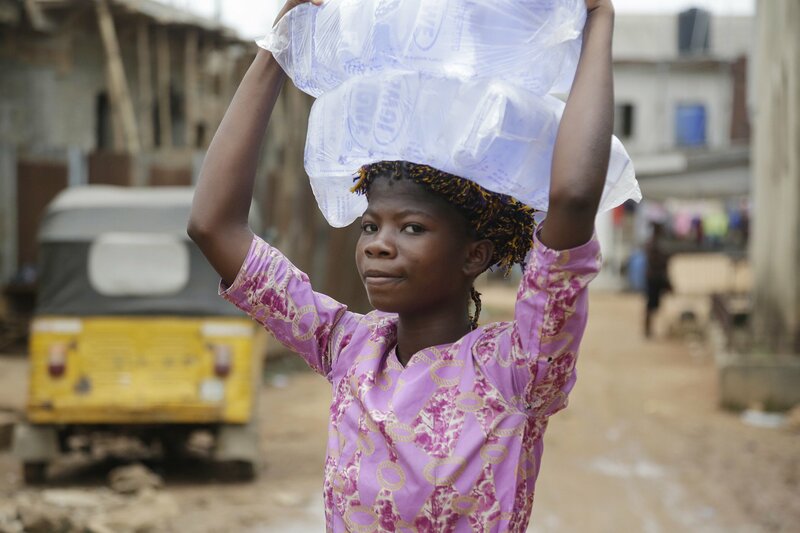 A woman carry bags of sachet water she bought on a street in Baruwa Lagos, Nigeria. Women sit next to the river in Stockholm. "Around the World" is a new photo essay series that allows Global Citizens to get a sense of how experiences and contexts vary around the world. Every few weeks we'll show you the differences and similarities between water sources, school treks, local ecosystems, and much more.